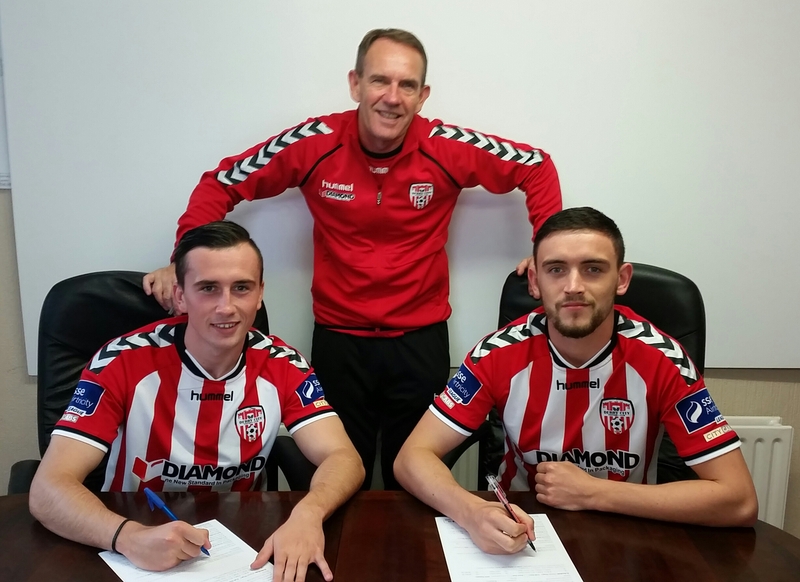 Derry City are delighted to announce that Dean Jarvis and Aaron McEneff have signed new deals. Jarvis will remain at the Brandywell until at least the end of the 2017 season, while McEneff has signed a two year extension. Boss Kenny Shiels was delighted the pair have decided to stay at the Brandywell. “They are two Derry lads which makes it even more impacting on the path way which we are taking,” he said. “Both of them have had fantastic seasons and one’s 23 and one’s 21; they are the ideal type of player we are looking for in terms of their age and how well they have come on this season. “I’m absolutely thrilled to bits to get these two in and we are continuing to talk to other players in the squad, as we are building for the future. As for McEneff he’s delighted to have signed his new deal, which keeps him at the Brandywell until at least 2018. While Jarvis is happy to get his future sorted for at least one more season.